Can Scuba Diving Be Done With Glasses Or Contact Lenses? Diving with contact lenses can be a challenge. As a sport that requires concentration and safety, being aware of the difficulties of wearing glasses or contact lenses is a problem. Can scuba diving be done with glasses or contact lenses? 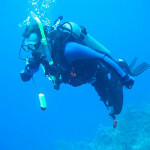 What options do we have to enjoy diving with safety and quality of vision? Let’s throw light on the problem of diving with contact lenses. Not the fact itself of diving with them or not, but the doubts that arise in your mind about their use. To make sure everything goes well, remember to tell your instructor that you are wearing contact lenses, so you can safely close your eyes when you need to remove your mask. Once you have emptied it, the instructor will inform you by tapping your shoulder. Adopt soft lenses, hard lenses present a risk due to the pressure differences between the non-flexible lens and the eye! Do not fear the risk of infection, it is practically non-existent, around 1/10000. However, if your eyes are red or itchy after a dive, do not hesitate to consult an ophthalmologist. And if you suffer from a dry eye sensation, use artificial tears to relieve yourself. If you are going to dive with contact lenses, the problem, contrary to what is usually thought, is not to lose them. It is totally unadvised by ophthalmologists to dive with contact lenses because of the risk of infection. 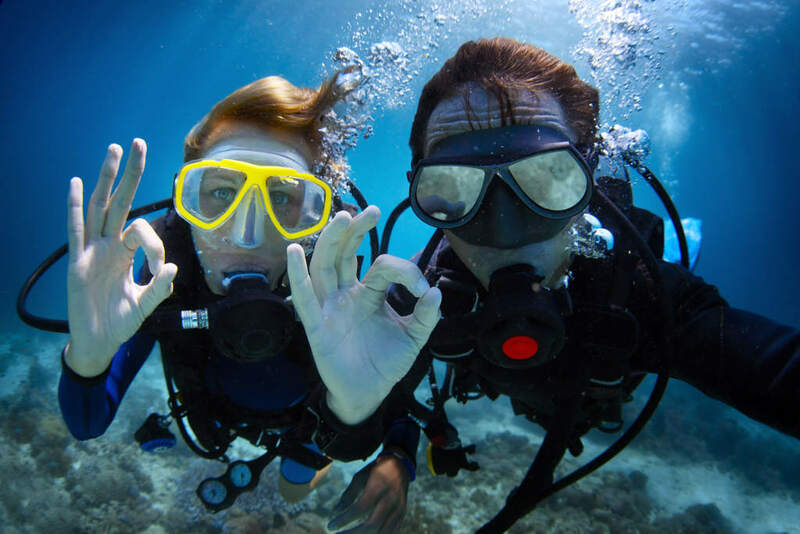 If you decide to dive with contact lenses and you get water in the mask – something that is usual – you will have to discard the lenses and buy new ones. If you can’t stand contact lenses, you may opt for prescription masks. But they do have the disadvantage that before and after diving you’ll need to have your usual glasses handy. Also, you should keep in mind that if your prescription varies, you will have to change the mask anyway. For someone who wants to dive with myopia, a correct selection of the vision correction method reduces the risk of infection. It also avoids the worries of wearing daytime lenses or prescription glasses. 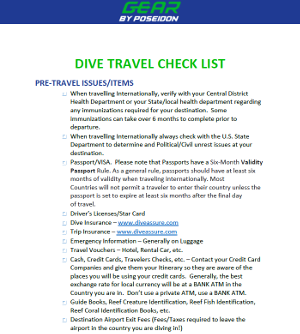 Practicality when it comes to getting to the diving point, diving and getting on the boat. All these processes can be done seeing well at all times. You don’t have to wear glasses to see well after diving. Wide visual field. Contact lenses allow you to see everything that the diving mask gives you. It is true that nowadays, diving masks can be graduated with ophthalmic lenses. From the age of 40 onward, presbyopia begins to appear, which is the phenomenon that occurs in our vision and which is not well seen up close. There are divers who wear a lens with the graduation to see well from afar and nothing in the other eye, to see well only up close. Thus they think that they will see well in both distances. Nothing could be further from the truth. If you do not wear the correct graduation in each eye, you break the binocularity when integrating the vision. Both eyes provide information to see well and if not, there are failures in the calculation of distances and perception of colors.The perfect vision of the watch is fundamental in diving. It is part of our security.Do not make any decision to improve vision, believing that the water already increases and that it will only serve. If you are farsighted, the water will increase the image but never with enough clarity to see well. If you are nearsighted, you should know that water increases your nearsightedness and you will NOT see better.The water does not increase enough if you are farsighted. If you are short-sighted, it is even more blurred. Use adhesive contact lenses to see well up close. These elements are only magnifiers with a certain magnification but they will not correct your graduation with accuracy. Nor will they take into account the astigmatism you have or the optical center of the lens, mainly because it is not a lens: it is a standard magnifier. Surprise yourself with everything we can do to make diving more reliable, comfortable and wonderful…looking good, enjoying twice as much.